Pro clinic is a travelling Football Clinic designed and coached by professional and international players for girls ages 9-16. Pro Clinic made its debut in New Zealand in 2018 with two-day clinics in Wellington and Auckland. Pro Clinics provide young players in NZ with opportunities they've never had. Our players learn from current, elite (professional & international) female players. Our clinics are run entirely by ‘us’ - female players at the top of our game. 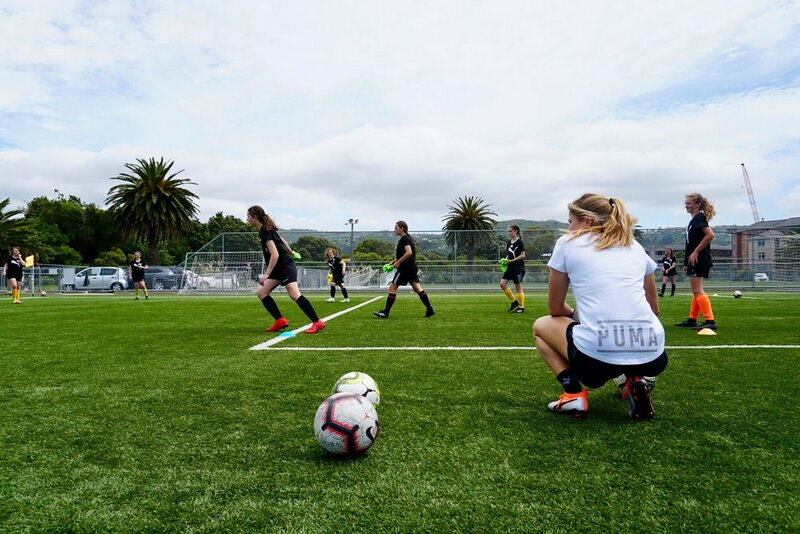 Our 2018 clinics featured five current Football Ferns: Rosie White, Katie Bowen, Sarah Gregorius, Stephanie Skilton, and Emma Rolston.